The Crawford Fund in association with the Australian Volunteers Program are calling for expressions of interest for an Diagnostic Plant Pathologist as part of the Crawford Fund Capacity Building Program in Lao PDR. The Crawford Fund has been working in partnership with the Lao Ministry of Agriculture and Forestry since 2009. The Australian Volunteers Program is an Australian Government initiative that supports Australians to contribute to sustainable development across our region. 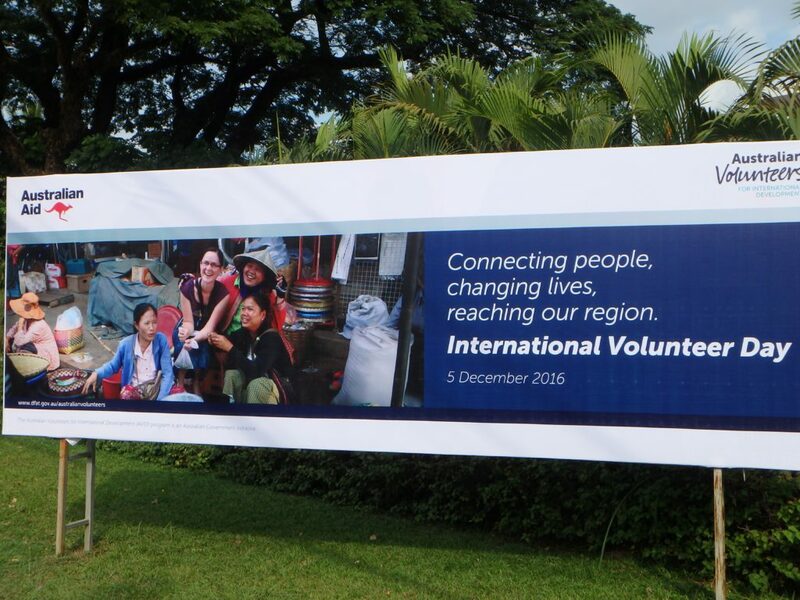 Volunteers are supported with return airfares, visas, living allowances, training and more. The program has partnered with the Crawford Fund to support its work in Lao PDR. The volunteer will be assigned to the Provincial Agriculture and Forestry Office (PAFO) in Savannakhet city, Savannakhet Province in southern Lao PDR. The Crawford program engages mainly with provincial governments to deliver training in integrated disease, pest and weed management, biosecurity, food safety and trade. The objective is to increase knowledge and understanding of crop diseases, pests and weeds by local agricultural staff and trainees, and further develop their capacity to undertake diagnostics and advise small-holder farmers on management practices through in-field discussions and village workshops. The overall aim is help improve rural livelihoods. Currently, we are seeking a Diagnostic Plant Pathologist to enhance staff capability to recognise diseases in the main crops grown in Savannakhet province, undertake laboratory diagnostics, and continue monitoring diseases in vegetables, watermelons, bananas and rice. You will also be involved in diagnostic tasks as requested by the Head of the Agriculture Section of PAFO. As part of this role you will also be involved in facilitating several village workshops for small-holder farmers. These workshops cover key diseases and insect pests, IDM and IPM and pesticide use and safety. The PAFO has a basic diagnostic plant pathology laboratory and a new greenhouse which is being used for pathogenicity tests, host range studies, and related work. See Instagram: Crawfordfundlaos. You will be supported by the Australian Volunteers Program in-country team and Crawford mentors. The Crawford Fund will provide technical and scientific support both through in-country visits and online forums. The Crawford Fund also provides some financial support for laboratory and field work, and extension activities, as appropriate. Since 2014 a series of Australian volunteers have been based at Savannakhet PAFO working with vegetable, watermelons, and field crops. This is a challenging assignment for an individual wishing to enhance their professional development while contributing to rural development in a LDC. If you are interested in this assignment please send an Expression of Interest (up to one page) and a CV to Hon. Prof Lester Burgess, burgess.international@gmail.com phone enquiries to 0417778345. Minimum Qualification: Australian Citizen or Permanent Resident of Australia, U/G Degree with majors in Plant Pathology, and/or Crop Protection. Some diagnostic experience as a graduate preferred but not essential.